Our school cafeteria, The Lunch Box, provides the children with nutritious meals. Our motto is: “Nourishment is more than food and health is more than nourishment.” Our colourful cafeteria is specially decorated each season to promote a warm, friendly atmosphere. During the warmer months of the year we even provide outdoor seating. Our menu combines German and Turkish meals all the while following the guidelines of the German Society for Nutrition. We prepare the meals using locally grown, fresh, seasonal foodstuffs. We also offer sandwiches, both raw and toasted, fruity yoghurts, fresh fruit and hot and cold beverages. 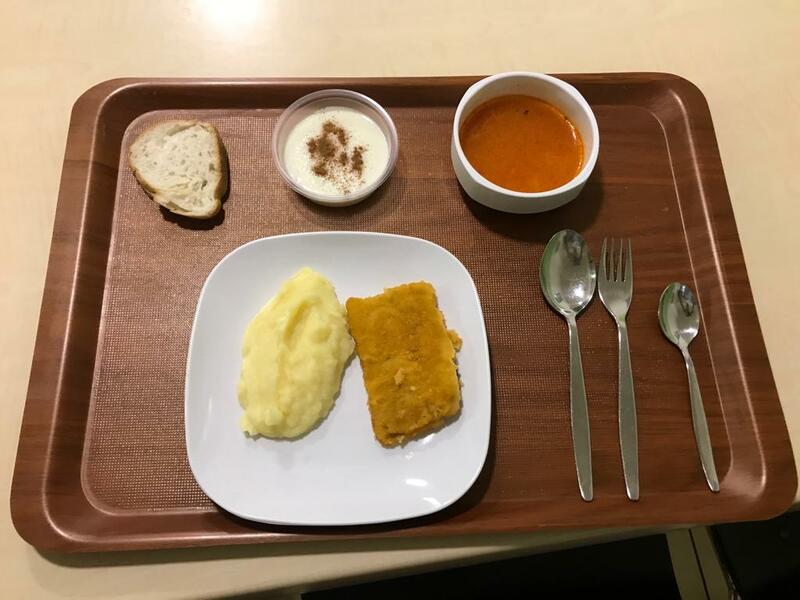 We serve our meals on crockery made of Melanim, which helps keep the food warm. The students, teachers and staff love The Lunch Box, which serves over 130 full meals each day. Dated October 2018. This price list is non-binding. Current prices are available at The Lunch Box. Mrs Yesim Riemenschneider has contracted to run the cafeteria as a separate business according to a legally binding agreement with the Ernst-Reuter School under the direction of an advisory committee of teachers, parents and students. The operator is open to suggestions and requests; however, not all requests or suggestions can be implemented due to cost or logistics.